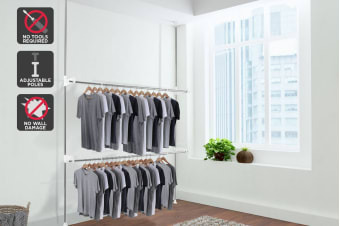 A quick, easy, amazingly affordable wardrobe solution that fits into any space without the need for fiddly installation or damage to walls and ceilings. A full wardrobe solution at a fraction of the cost! 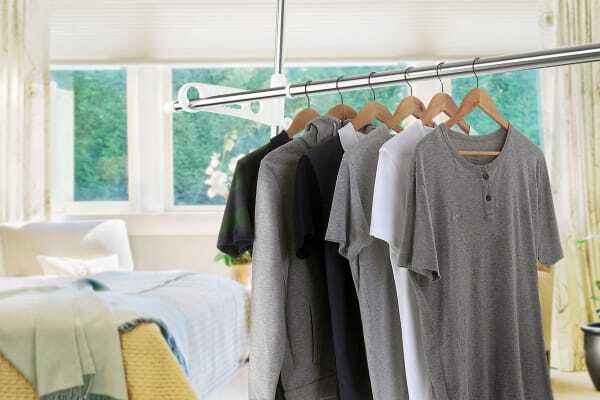 Doubles as a drying rack for all of your laundry! 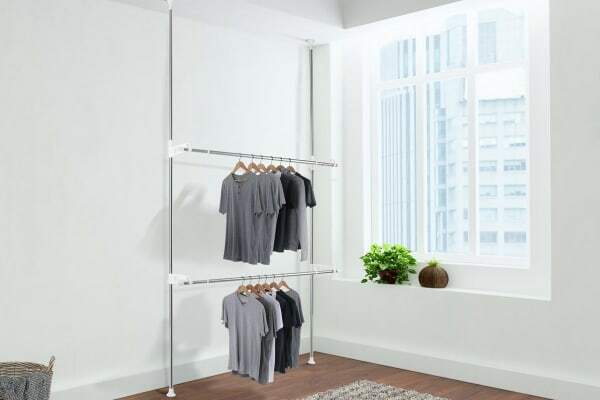 The Ovela Adjustable Telescopic Clothes Rack can extend up to 3.1 metres high x 2..2 metres long, and compacts to just 2.1 metres high and 1.3 metres long, making it fully customisable to suit your space. The two-tiered storage system saves floor space, and the innovative locking system holds the rack securely in place without any screws or bolts required. Bulky standalone wardrobes are hard to transport and aren’t guaranteed to fit into a new space if you move. Built in wardrobes are crazy-expensive and require holes in the walls or ceiling. 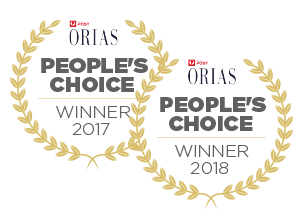 That’s why the Ovela Adjustable Telescopic Clothes Rack is the ultimate solution; creating an instant wardrobe in any home at a fraction of the cost of traditional storage. Nice and sturdy for the price plus it's quicker to put up than it looks.